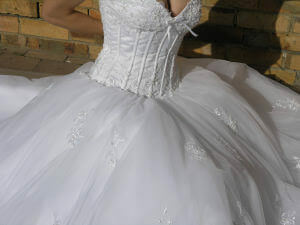 Gorgeous, flattering and beautifully hand embroidered bodice (option to attach beaded straps). Dress emphasizes the waistline and looks amazing. The dress has been professionally dry cleaned. 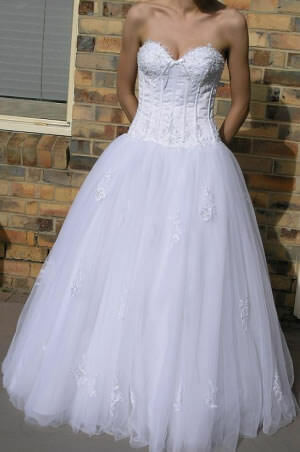 Affordable price, as in the middle of moving and there no room to keep the dress. If you have any questions, please give me a call.